Staycee Pearl is the co-artistic director of PearlArts Studios and STAYCEE PEARL dance project & Soy Sos, where she creates artful experiences through dance-centered multime-dia works in collaboration with her husband and artistic collaborator, Herman “Soy Sos” Pearl. In 2010, STAYCEE PEARL dance project (SPdp) debuted at the Kelly-Strayhorn Theater, and served as the theater’s resident dance company for three years. The Pearls proudly opened their dance/art/sound space, PearlArts Studios, in April of 2012. 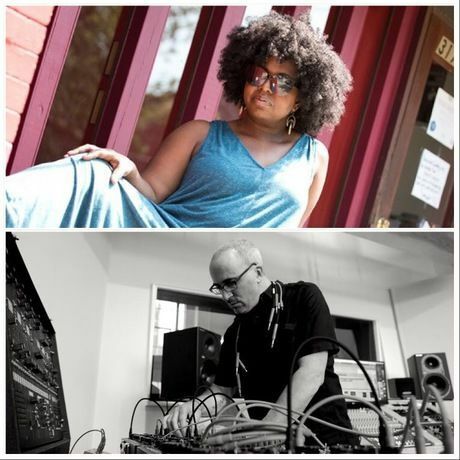 Since, the duo has produced several works including ..on being…, OCTAVIA, and FLOWERZ. Staycee is passionate about sharing resources and creating opportunities for the arts community and has initiated project-generating programs including the Charrette Series, the In The Studio Series, and the PearlDiving Movement Residency. Staycee has exhibited visual art works in exhibitions curated for SPACE Gallery, Fe Gallery, and The August Wil-son Center and is responsible for the choreography of many musicals and operas pre-sented throughout Pittsburgh between 2004 and 2018. Herman Pearl (Soy Sos) is the head engineer and owner of Tuff Sound Recording, as well as the sound designer and co-founder of PearlArts Studios. Through PearlArts, Herman creates soundscapes to serve as a component to contemporary dance. As a sound de-signer, Herman’s repertoire includes a wide variety of projects and collaborators. His work has been featured in various independent films and documentaries, video games, and advertising. He has designed soundscapes for numerous choreographers. He has collaborated with many visual artists to create installations and touring exhibits. He has recorded and produced work for a plethora of recording artists across genres and techniques. Herman has performed, created, and recorded his own music for over 25 years.